One of my new favorite “holidays” is World Nutella Day, hosted by Sara of Ms. Adventures in Italy. I am a relatively recent Nutella fan, having discovered it a couple of years ago. My love of this delicious chocolate-hazelnut spread was instantaneous, so I am more than happy to celebrate a day dedicated to such a deserving treat. Last year, I celebrated Nutella Day with some delicious no-bake Nutella Oatmeal Cookies. This year’s celebratory treat is a bit tamer and comes to us courtesy of Martha Stewart. They are simple enough to make, as most bar recipes tend to be. My only problem was in finding an 8″x 11″ baking pan. I did eventually find one, but if you don’t have one you should be able to make them in a 9″x 13″ baking pan. They won’t be as thick, but that should be the only real difference. Keep in mind that with thinner bars, your baking time will probably need to be reduced. 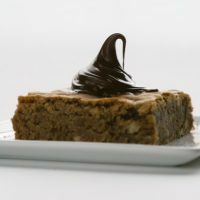 These blondies have just a hint of Nutella in them, but are absolutely fabulous with a dollop of it right on top. The toasted hazelnuts are just wonderful. They really intensify the Nutella flavor. 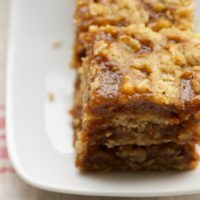 Even without the additional Nutella, these blondies are so, so good. The flavor of the brown sugar really comes through without being overwhelming. 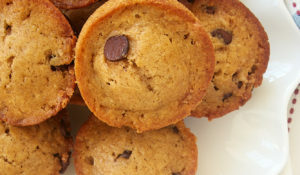 If you’re a fan of brown sugar, then these are definitely for you. If you’re a bigger fan of Nutella, then spread it on thick and enjoy! Be sure to check back with Sara at Ms. Adventures in Italy on Wednesday, February 6th for a round-up of all the Nutella Day contributions. Preheat oven to 350°. Grease an 8″x 11″ baking pan. Line with parchment paper. Grease paper. Beat melted butter and brown sugar until combined. Mix in eggs and vanilla. Gradually add flour mixture, stirring just until combined. Stir in hazelnuts and Nutella. Transfer dough to prepared pan. Press evenly into bottom of pan. 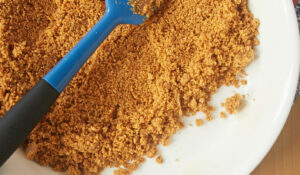 Bake 25 minutes, or until a pick inserted into the center comes out with moist crumbs. Cool in pan 15 minutes before cutting into squares. Serve with a dollop of Nutella. 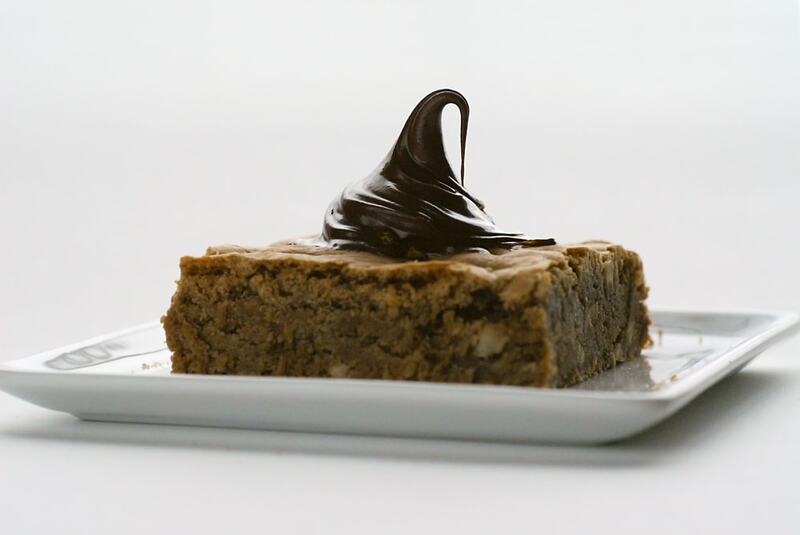 Ooo, nutella and blondies – what a wonderful combination! And what better way to use the lonely bag of hazelnuts sitting in my pantry without purpose…till now! I’m so bummed I missed this…I love Nutella…and your blondies are to die for. You are a bake star! And I can vouch for your those brownies. Delish. i’m a nut for nutella. I would have instinctually incorporated nutella into a brownie, not blondie recipe. Subtlety seems smart in this situation, however. It’s so hard for me to keep Nutella in the house and not eat it all! These look great, even without the Nutella. I love the darker color. Fabulous photos and recipe; thanks so much for participating in World Nutella Day! Mmm, this looks gorgeous. 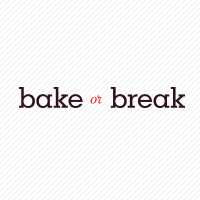 If only I didn’t have a brownie/blondie baking-block… oh well. Love the pictures! Just recently I tasted my first spoonful of Nutella & I am hopelessly hooked! btw—excellent recipe for your Death By Chocolate entry! Ohh how you continue to touture us with devine looking brownies. This recipe literally stopped me in my tracks. I was already to scroll on by but my mouse halted mid-scroll. These look wonderful and I am excited to find another way to use one of my favorite nuts. Question: Do you think these would work with Brazil nuts? Indigo, do I even want to know about the baking-block? I couldn’t bear to do without brownies and blondies! JEP, it’s divine, isn’t it? How I lived without it all those years, I’ll never know. Thanks, Sarah! I think this would work with just about any kind of nut. 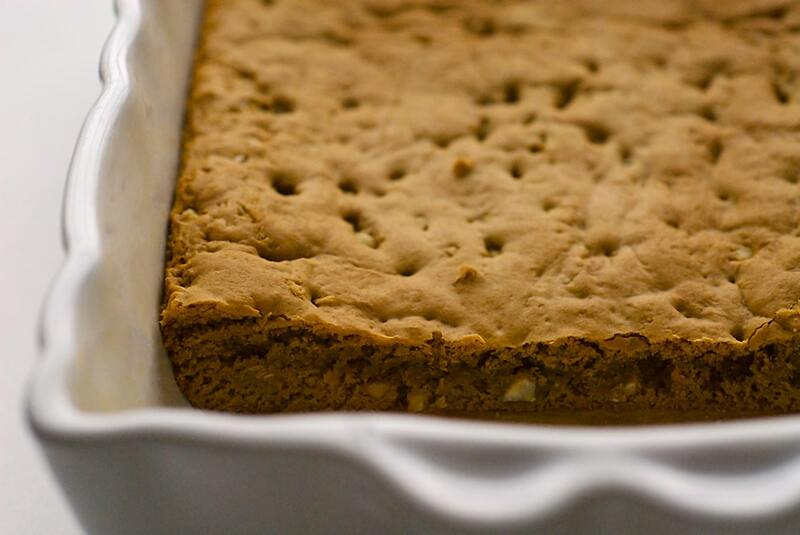 I’ve never baked with Brazil nuts, but it’s certainly worth a try. 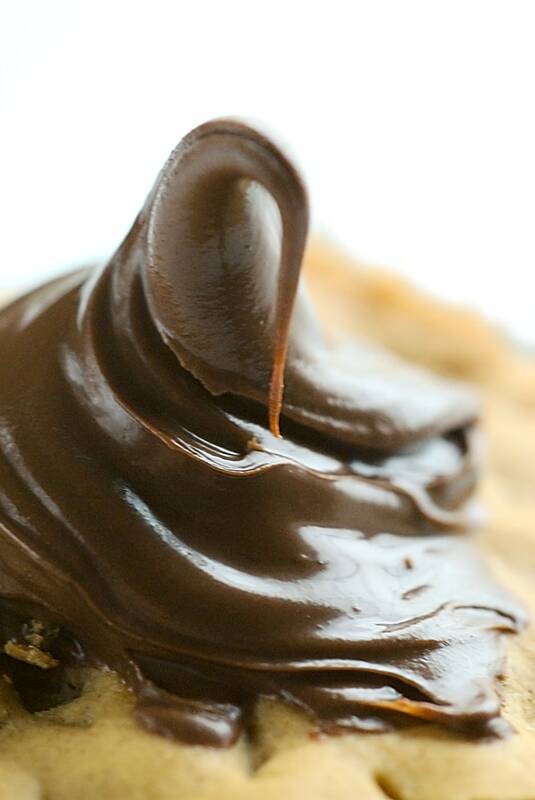 That peak of Nutella on top– sensational! I love all blondies! This one has a nice twist to it without being too out there. Your no-bake oatmeal nutella cookies sound great too. Susan, that little dollop just kind of “dolloped” like that. I’m still amazed. Julie, I highly recommend these. So, so good. Whitney, it is very good indeed. Of course, Nutella on just about anything is okay in my book. Thanks, Maryann! I am very excited for my first win. Brilynn, there are certainly worse things to console yourself with. All I can say is Yum….those look so delicious. You just have a knack for perfection – both photos & food…just makes me want to reach into my screen & eat it! Thanks, Julie! These are so, so good. Mango Power Girl, you are too kind. Thank you! This recipe is definitely going into my ‘to bake’ pile. Yes, it’s a pile. This recipe and the Mascarpone Brownies!? You’re rockin. Seriously. I love Nutella and these blondies look gorgeous! I just discovered your blog but I really enjoy what you have going on here. Well done! Thanks, Kate! No one can resist a big dollop of Nutella. Thanks, Joy! I’m a sucker for a good brownie or bar recipe. Aran, I’m glad you found me. Thanks for the compliments! love the photo! this recipe sounds beautiful and rich! I hope you have some of these left! Yummy-looking!!! OK…so I must be the last person on earth not to have tried Nutella….until NOW that is!!! Love it!! These are so going on the recipe list for next week! Lip smacking good! Thanks, daphne! They are rich, but not too over the top. Nan, sorry but these didn’t last long. Chris, they are almost unbelievable. Thanks! Nutella is just the best thing! 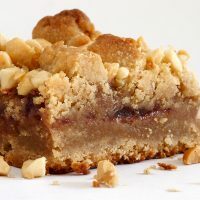 😀 And I really can’t wait to try these hazelnut blondies! (: I really like your blog! I missed Nutella day – boo! What a great idea for a holiday. Is there a world peanut butter day? Thanks, La’Laila. Nutella is pretty high up there on my list, for sure. Golly, if there’s a world peanut butter day, I will definitley be celebrating. I just made these this weekend, and they were a huge hit! 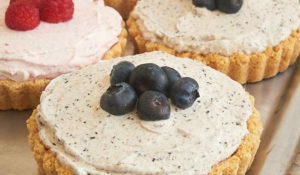 Definitely one of my favorite desserts already, and it counldn’t have been easier to make. I baked mine in a 9×9 pan, and they turned out perfectly. And I added 1/2 cup bittersweet and 1/2 cup semi-sweet chocolate chips. They were awesome… thanks for introducing me to this fabulous recipe! 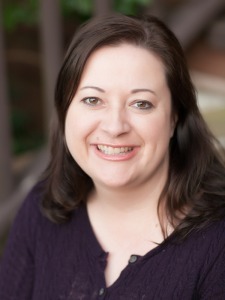 Kristin, I’m so glad you liked them! Good to know that they worked well in a 9×9 pan. 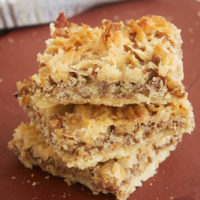 Another yummy looking recipe – think I could substitute pecans for the hazelnuts? Would you recommend adding more nutella? Emily, pecans will work, although the hazelnuts emphasize the Nutella flavor. If you want more Nutella, I would just add more on top.